Weekly Update for 3/9: Arizona Rejects Amazon Legislation, While New Jersey Considers Implementing Amazon Law; Missouri Considers Amnesty Legislation; Pennsylvania Considers Closing the “Delaware Loophole”…and more. The California State Board of Equalization revised Publication 109 regarding Internet Sales, in order to provide guidance on the tax treatment of eBooks and apps. According to the Publication, the transfer of a downloadable file such as an eBook or app is not a taxable transaction, without purchasing any physical storage medium. The Georgia House of Representatives approved legislation, HB 100, which would establish a state Tax Tribunal in the state’s judicial branch. The Illinois Department of Revenue issued an Information Letter providing guidance on the treatment of “Deal-of-the-Day” transactions. For more detailed information, see the Information Letter. The Iowa District Court ordered a refund of franchise fees that were collected in excess of the amount determined to be allowable for which the City of Des Moines could impose. The court found that the refund was a constitutional remedy for the illegal taxation of the city’s residents. The fact that the funds gathered from the illegal taxation were used wisely, legally and with the best intentions was not a defense. The Missouri House has approved legislation, HB 1030, which would offer a tax amnesty period, slated to run from August 1 to October 31, 2012. The amnesty program would cover all taxes administered by the Department of Revenue and would waive penalties. The amnesty program is projected to raise $75 million for the state. The New Jersey Superior Court upheld a Tax Court ruling, which found that a foreign corporation was subject to the New Jersey Corporate Income Tax because it regularly and consistently permitted one of its employees to telecommute from her New Jersey residence. Her full-time telecommuting was viewed as doing business in the state, thereby requiring the payment of the tax as well as the filing of corporate income tax returns in New Jersey. Legislation, S 1762, has been introduced in New Jersey that would grant Amazon.com a temporary state sales tax collection exemption if it builds warehouses within the state. Pursuant to the bill, distribution facilities built in the state after January 1, 2012 would not create nexus with the state until July 1, 2013, provided that Amazon.com creates at least 1,500 full-time jobs in the state and makes a capital investment exceeding $130 million. The New Jersey Tax Court affirmed the value of a residential property established by the assessment after finding that the owner’s evidence regarding comparable sales was insufficient to establish the true market value of the property. Although the owner overcame the presumption of validity attached to the assessment of his property, he was unable meet his burden of proof with regard to establishing the true market value of the property. New Mexico’s Governor vetoed legislation, SB 9, which would have established combined reporting in the state. The bill would have required combined reporting for multistate retailers with a 30,000 square feet or large facility in New Mexico. Additionally, it would have lowered the top corporate income tax rate from 7.6 percent to 7.5 percent. The Pennsylvania legislature is considering legislation, HB 2230, which would allow counties in the state to institute a local sales or income tax in order to reduce or eliminate the property tax. Pursuant to the bill, county governments could ask voters to approve a sales or income tax, which would ultimately provide property tax relief. During January, legislation, HB 2150, was introduced that suggested a close to the “Delaware loophole.” For previous coverage of that bill, please click here. Competing legislation is currently being drafted that will seek to create a broader add-back provision than that contained in HB 2150. Virginia’s Governor has approved legislation, HB 154, which creates a phase-in of single-sales-factor apportionment for retailers. The bill requires retailers to begin utilizing a triple-weighted sales factor beginning July 1, 2012 and a quadruple-weighted sales factor beginning July 1, 2012. Finally, a single-sales-factor would be implemented beginning July 1, 2015. The Wisconsin Tax Appeals Commission held that an individual was responsible for a portion of a company’s sales tax and withholding tax liabilities. The Commission reasoned that the evidence established that the individual maintained the title of president of the company, retained check-writing authority and participated on the board of directors. As such the Commission found the individual to be a “responsible” person. State and Local tax issues require state and local tax knowledge. SALT Blawg provides exactly that knowledge with news updates and commentary about state and local tax issues. You can expect to find relevant information about topics such as income (corporate and personal) tax, franchise tax, sales and use tax, property (real and personal) tax, fuel tax, capital stock tax, bank tax, gross receipts tax and withholding tax. SALT Blawg, offers tax talk for tax pros… in your neighborhood. 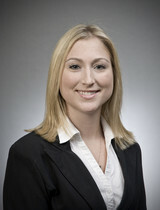 SALTBlawg.com is a publications of Chamberlain Hrdlicka (www.chamberlainlaw.com).